The current move up over the past 4 years is being driven by the Fed’s loose monetary policies (just as other global markets have been driven by their Central Banks). Most bulls believe the loose polices will stimulate enough consumer demand to lead to a significant U.S. economic recovery. 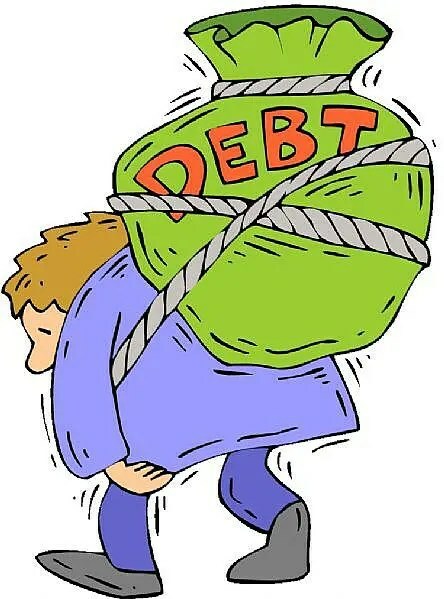 We, however, continue to believe the debt – laden consumer, along with the still other unresolved debt burdens, will be a major drag on the U.S. economy, (we are convinced that the market will turn down and make a triple top at levels below the peaks made in 2000 and 2007 while we resume the secular bear market that started in 2000) and that will have negative affects on the global economy. So say edited excerpts from the Comstock Special Report* (http://comstockfunds.com) entitled The Consumer, the Debt, and Competitive Devaluations. the recent decline in gasoline prices at the pump. will offset all of these consumer tail-winds. The government debt of $16 trillion (tn) is just the beginning of our debt problems. The private debt of about $40 tn has to be added to the government debt to put a better perspective on the total debt but the total debt of $56 tn still understates the true debt of our country since we have promised so much to so many of our citizens. These promises have left us with unfunded liabilities from Medicare, Medicaid, Social Security, and government employee pensions which range from $70 tn to $122 tn depending upon the discount rate used and how far out we can assume that they won’t be addressed. Therefore, total debt is at least over $125 tn, and that has got to put a damper on this latest bull market that started in 2009. We are convinced that the market will turn down and make a triple top at levels below the peaks made in 2000 and 2007 while we resume the secular bear market that started in 2000. 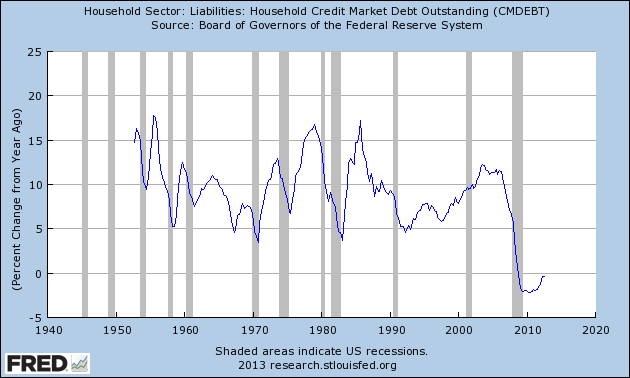 How will our country resolve the enormous amount of debt we’ve built up over the past 30 years? …gradually raise the eligibility age to 70 years for both Social Security and Medicare…. means test both Social Security and Medicare and phase this in over the next few decades. The demographics have changed…[considerably] since these plans were established in 1965 (Social Security Act adjustment and start of Medicare)…. [Then] the life expectancy was 67 for males and 74 for females , and now…[it] is close to 80…for males and …over 80 for females. It is clear that even more adjustments have to be made to the cost of Medicare since the government outlays were $565 bn in 2011 and are projected to be over $1 tn in 2022 (if you add Medicaid and Social Security these entitlements will absorb much of the projected revenue). The problem with relying on spending cuts and revenue generated from taxes raised are the unintended consequences of much lower growth, which could possibly drive us into a recession or even a depression. If we are correct in our assessment of the U.S. entering a recession in 2013, we expect the U.S. downturn to spread globally and probably lead to a global recession. It will…[force] the countries that will be most affected…to lower their currencies in order to export more goods and services to their trading partners…A chart we named the “Cycle of Deflation” shows…[that] “Competitive Devaluations” result from too much global debt. We have been in this segment of the “Cycle of Deflation” now for the past decade, but it will be most apparent next year if we enter the global recession we expect. We have witnessed a tremendous central bank easing over the past few years, with virtually every country attempting to devalue its currency with a total of 335 central bank easings. Well, we also witnessed this when our Fed brought rates down to 1% in mid 2003 and started the wild housing bubble that almost brought us to our knees. Just recently, the new prime minister in Japan made a clear move to “competitive devaluation.” The yen has been fluctuating during Japan’s deflation since 1989, but the trend has been up, and the new Prime Minister Sinzo Abe believes that the only way Japan will be able to extricate themselves from 23 years of deflation will be to get the yen down relative to their trading partners like China, the U.S. and Europe. Their goal is to stimulate now, but aggressively starting in 2014, until the inflation rate rises to their goal of 2%, from a slight deflation presently. The Japanese stimulus may get the yen down relative to their trading partners, but with their heavy debt load (even more than the U.S.) and aging demographics, getting to their goal of 2% inflation will not be as easy to achieve as they hope. (The Fed’s balance sheet expansion has resulted in the U.S. dollar declining about 11% against a basket of world currencies since Quantitative Easing (QE) started in 2009. [Read: Peter Schiff: The Federal Reserve is Now 100% Committed to the Destruction of the Dollar] Stocks, bonds, and commodities have also risen, but the recovery has been very sluggish and inflation has remained tame.) Japan has been using different forms of QE for many years, and in fact, they even bought Japanese stocks to reverse the deflation to no avail. We believe the new Prime Minister’s…significant stimulus plan will fail again. The U.S. and Europe will do whatever they can to…[offset Japan’s actions] and that is why we call this “competitive devaluation”! [Read: This Chart Proves That Your Currency Is Being Debauched At An Accelerating (Parabolic) Rate! Got Gold?] If we continue along the path of “Competitive Devaluations” the next step is “Beggar-thy-Neighbor”, which is the next stage of the Cycle of Deflation. It is similar to competitive devaluation, but is just more severe since it essentially means that in order to keep plants and businesses from closing down, exports are sold below cost to their trading partners. In summary, because the U.S. consumer is over burdened with debt we don’t believe there will be enough consumer demand to spark business spending or hiring. The consumer had increased household (H/H) debt every single quarter since World War II (including the severe recessions of the early 1970s and 1980s) averaging around 65% of Personal Disposable Income (PDI) and 50% of GDP for decades (50s, 60s, 70s and 80s) before taking off in the 1990s to double this average by 2008 (130% and 100%). In 2008, when the Great Recession hit the U.S. and because H/H debt rose so much, H/H debt declined for 15 out of the last 17 quarters. Some would think this deleveraging would be a positive for the U.S. economy and stock market, but because the H/H debt to PDI is still 110% and 100% of GDP, the total H/H debt is still close to $13 tn and would have to drop by another $3 tn or so to get back to the normal relationships to PDI and GDP (see Ned Davis charts here and here). “If people who had been paying down debt to repair their balance sheets had actually resumed borrowing, it would mean that balance sheet problems were behind us. However, the fact that the latest colored bar in Figure 1 is above zero indicates that US households are still paying down debt. The [current and] continuing deleveraging will dampen consumer borrowing and spending which, in turn, will effect business spending and hiring not only in the U.S. but globally. [As such,] if we are correct, the U.S. and global economies will contract and there will be a race to the bottom with “competitive devaluations” rampant. All the countries that need exports for economic growth will be very aggressive in the race to the bottom, as the global economy struggles, and drives these same countries into the next stage of the “Cycle of Deflation”, that is, “Beggar-thy-Neighbor”. 1. We’ve Reached the Tipping Point: Are Consumers Prepared to Save the Day? 2. Mohamed A. El-Erian: Bad Economics Led to Bad Politics and Will Further Undermine Economy Unless…. 5. The Captains of Monetary Policy Have Not Grasped These Priceless Lessons of History & At Our Expense! 7. This Chart Proves That Your Currency Is Being Debauched At An Accelerating (Parabolic) Rate! Got Gold? Previous Gov’t Debt Will Keep Increasing Until the System Implodes! Are You Ready?